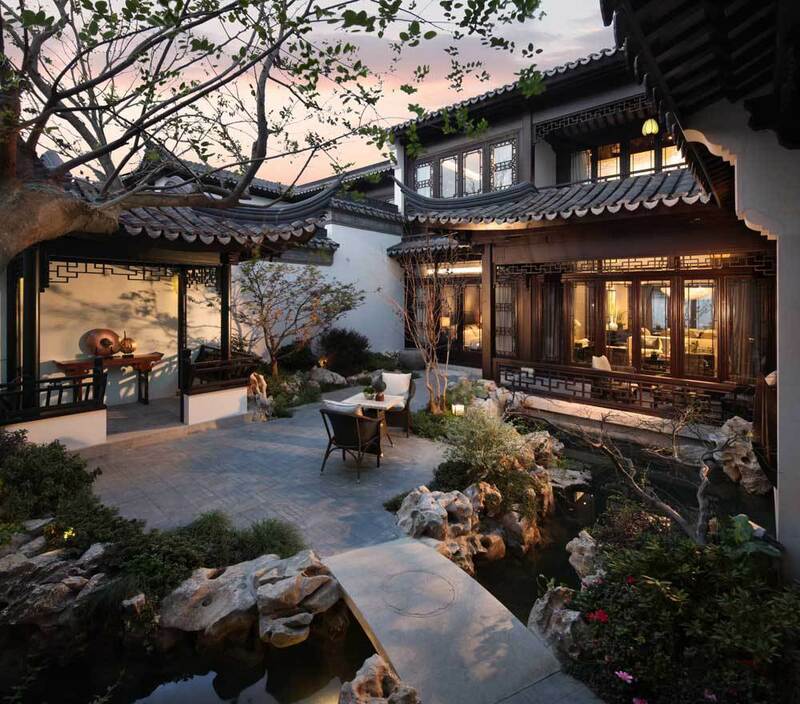 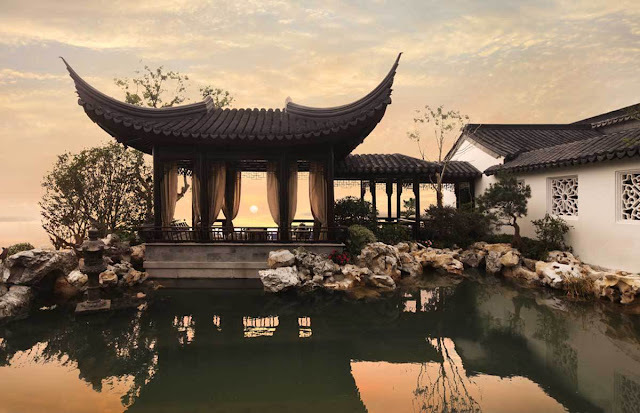 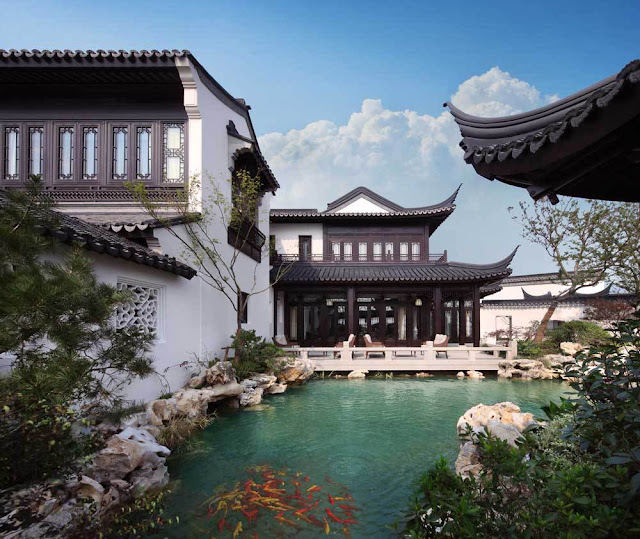 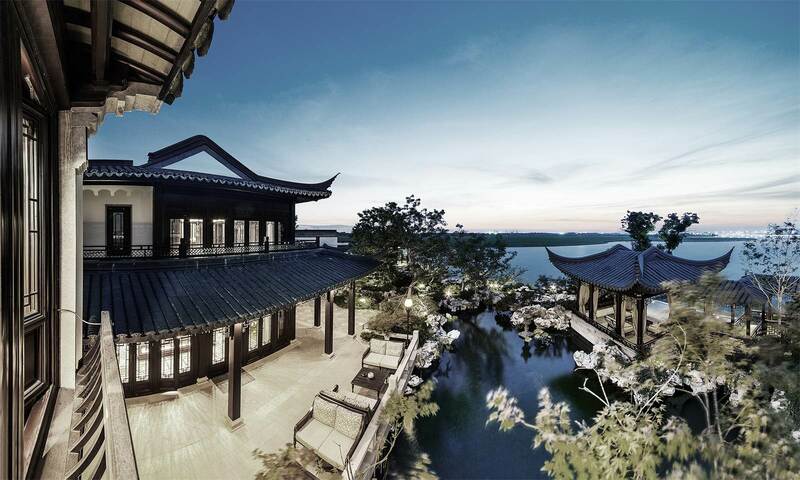 Wealthy Chinese can afford to buy a house they like in any corner of the world, from Melbourne to Vancouver, but this time all eyes are on this magnificent example of low-rise architecture in traditional Chinese style on the lake Dushu in Suzhou in a hundred kilometers west of Shanghai. 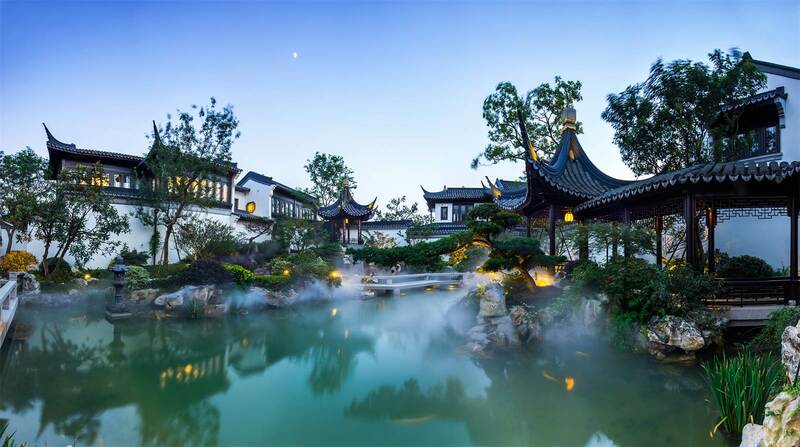 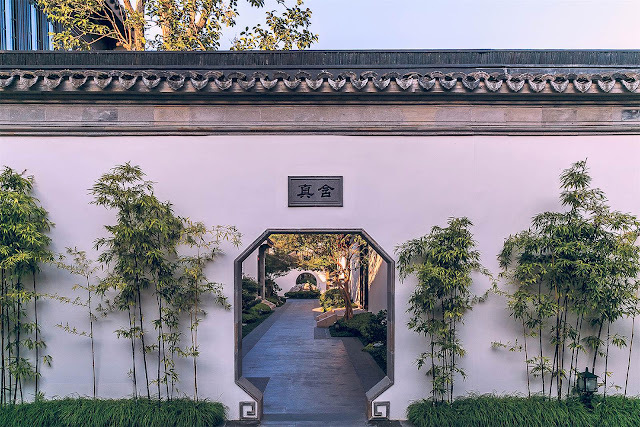 House with 32 bedrooms and 32 bathrooms, is announced as the most expensive house in China and offered for sale by Sotheby's for 1 billion yuan (about 150 million dollars). House name is Taohuayuan and means "utopia" or "peaceful prosperous land" and looking at these photos it is easy to understand why. Magnificent foggy ponds, a huge swimming pool, a solid wine cellar and wonderful views of the picturesque lake, all this corresponds to a sense of quiet confidence, symbolically reflected in the name of this beautiful home. 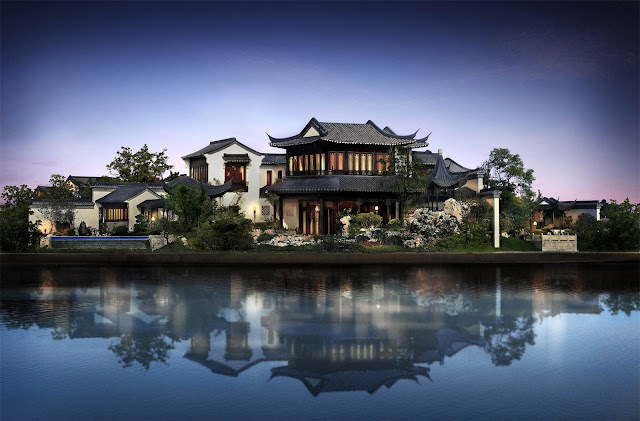 The total area is ​​6730 square meters (72441 sq ft).